Today’s look is inspired by the effortless pastels I’m seeing for Spring 2013. I picked up this flowy top at T.J.Maxx over the weekend and decided it was unnecessary to wait several months to put it on. An H&M tank is layered underneath, and a leather jacket along with a scarf, keeps me warm when I’m outside. The denim-esque leggings are actually from Duane Reade and were an emergency purchase, caused by a fashion malfunction, on the way to a segment taping. The entire look, including the L.A.M.B. booties, which are also a T.J.Maxx score, is under $100. Moral of the story? There is no economic reason that a woman should not look good when she steps out of the house. Whether you’re going to the office, grocery store or picking up your kids from school, you should always put your best you forward. Ladies, we all know that looking good makes us feel good. It also helps us fight thru insecurities, personal hardship and professional setbacks. So, next time you want to shlep outside in old sweatpants, think about how simple it would be to just put on some form-fitting jeans or leggings? Oh, and don’t forget a little rouge! How do you put your best you forward? I welcome your comment here or via twitter @PamelaPekerman. It's a good thing I can do radio from my home (even when i'm not feeling well). On Tuesday's Jim & Kim Morning Show on New York's Fresh 102.7, I was asked to comment on a highly controversial topic that borders on the level of urgency we now feel about the pending Presidential election. 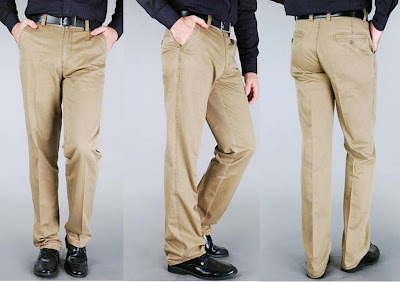 Topic: Are Khaki pants dressy enough to wear to a high-end establishment? Jim says "yes", Kim says "no". What did I say? Click here to find out. What's your take this hot-button topic? No, I haven't been walking around naked the past few weeks. I have, however, been working much more from home and under the weather. Today, I'm feeling great and back in the city. Inspired by my recent trip to Paris and my current book of choice, Paris: A Love Story by Kati Marton (a must read! ), my ensemble was inspired by a scarf, pleats and pantyhose. Do you love hosiery as much as I do? What's your favorite brand, print, color, pattern? Back in July, I headed down to Houston to shoot with my new friend Rebecca Spera, the vivacious host of Mirror/Mirror which you can watch nationally on The Live Well Network. This sassy New Yorker is a blast to work with, a heck of a martini drinker! Shhh, we had some fun the night before our shoot. A gal can't just fly to Texas to work, right? The below was shot at charming CHARLIE, an accessories mecca chock full of on-trend, affordable jewelry, bags, scarves, belts, you name it! We need this store in Manhattan. Are you listening in the corporate offices? Clothing for this shoot was provided by CoffeeTable, an iPad app that allows you to browse catalogs from Neiman Marcus to Tory Burch to Alloy, get exclusive deals and shop securely. It's fast, easy and convenient. for a walk on a breezy fall day. backdrop for showcasing tons of gold accessories. ruling animal for fall and holiday. 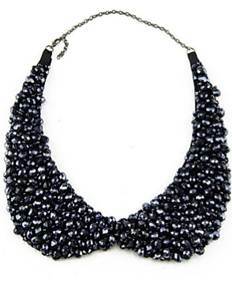 Have an accessories dilemma? Not sure how to accessorize for an upcoming event? Tweet me your questions/pictures @PamelaPekerman and you could be featured on this blow. Who knows, maybe you'll even win some accessories! Time to dust off your leather jacket, put on your printed pantyhose and accessorize for the new season. 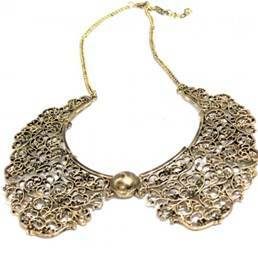 My absolute favorite accessory for fall is collar necklaces. They are a great way to get the peter pan look without investing in a new top or dress. 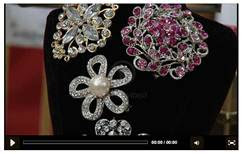 Monday morning at 3am (which for many is more like Tuesday late night), i was thrilled to debut on QVC. If you happened to catch the 5 minute hit, you were treated to the first showing of Dan Azan's python embossed leather handbag. I've been wearing this bag since last December, when I was confirmed to be the brand's on-air spokesperson, and i can tell you that it has garned quite a bit of compliments. 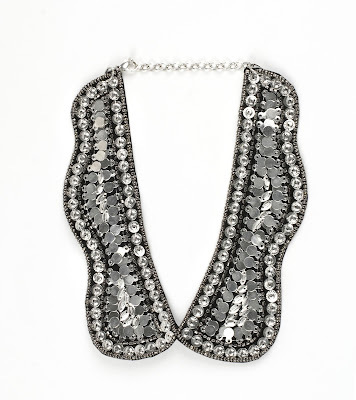 If you missed the live showing, check out QVC.com to get your hands on this stunner. 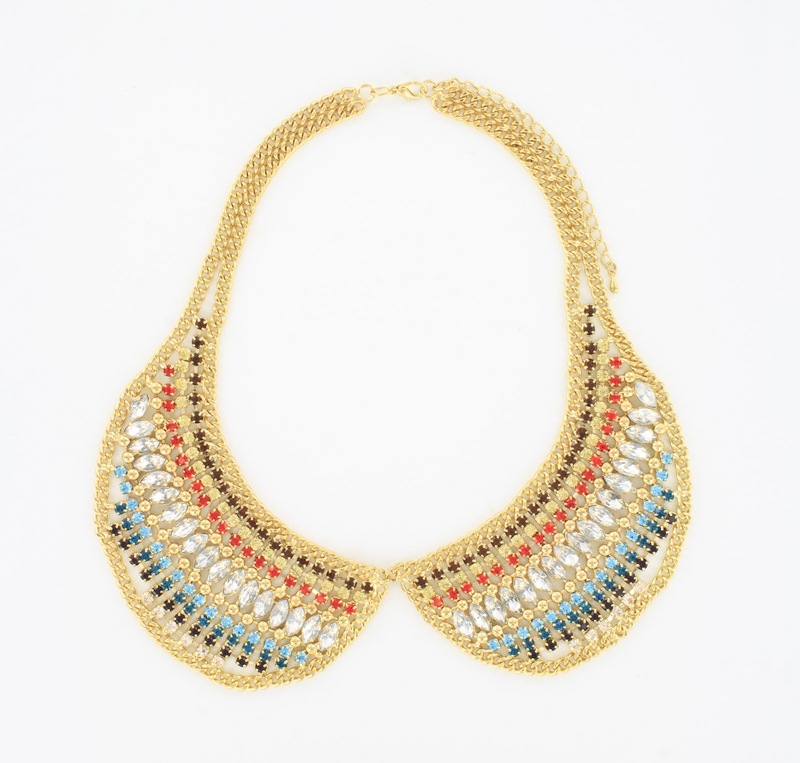 Ivory multi is my personal favorite because I love how it pops against the berry and coral colors I wear all year around. 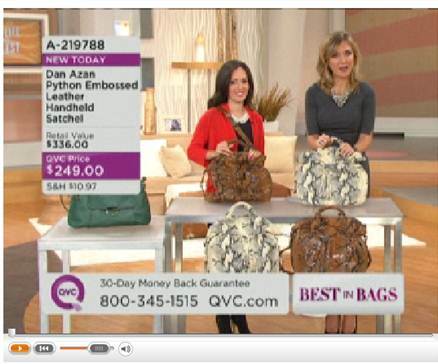 Pamela Pekerman on QVC with host Jennifer Coffey, presenting Dan Azan bags. Thank you to my lovely host, Jennifer Coffey for giving me a warm QVC welcome. Backstage, I also got to meet powerful ladies like Dena Douglas (On-Air Spokesperson at Tignanello) and Courtney Custer (on-air QVC talent and founder of Hoop Skirt Productions). A special hug to my mom, who accompanied me on this trip as I was (and still am) very sick and fatigued - hence my MIA status on this blog, twitter and everywhere else. 1. Keep it comfy, but classy in jeggings or leggings. Avoid ultra shinny spandex and go for a thicker cotton blend, ideally in black or a dark charcoal like the Milan Legging from Yummie Tummie. Pair with a slimming (but not fully body con - remember ABB Always Balance your Body) top. I love traveling in Elizabeth Daniel New York or a Theory top. 2. Never forget your pashmina scarf. 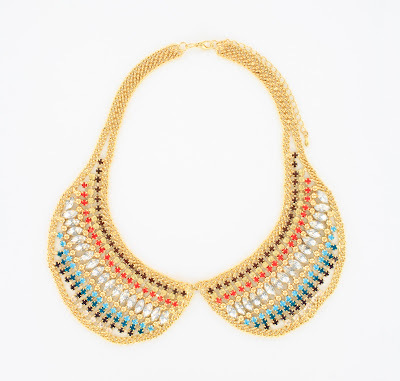 It ads color, doubles as a blanket and is loaded with panache! There's just something about a scarf that elevated any look. 3. Keep a pair of rollable flats in your bag. Even if you're like me and will change into them as soon as you exit security, flats will help you breeze through the airport and are much easier during screening. Try Yosi Samra. 4. After a long flight, freshening up is key. With a Travalo perfume atomized you'll never have to shop for 3oz bottles again. It's amazing. Buy it and you'll see! Enjoy the video and let me know what you want to see in future episodes. Lifestyle correspondent, accessories expert, spokesperson and host – I wear a lot of fabulous hats. It’s no surprise I’m obsessed with accents, those little wow items that take an outfit or a room from special to spectacular. You may have spotted me on HSN, VH1’s The Fabulous Life or sharing lifestyle scoop on morning shows like NBC in Miami or ABC in Houston. I’m regularly featured on PIX11 Morning News NY and FOX Good Day LA sharing style trends and entertaining advice. I’ve been quoted in Life & Style, SUCCESS for Women and The New York Times, to name a few. I’m also a national spokesperson for off-priced retailers T.J. Maxx and Marshalls and a brand ambassador for such elite brands as HomeGoods, Crest, and Ulta Beauty. I promote products that I’m craz-E town obsessed with. If I’m plugging it, I’ve shopped there, worn it, sprayed it or used it. My charity is the Ilya Peckerman Fund for Vasculitis Disease, in honor of my awesome, Carpe Diem father. Donation welcomed http://vasculitisfoundation.org/peckermanfund.